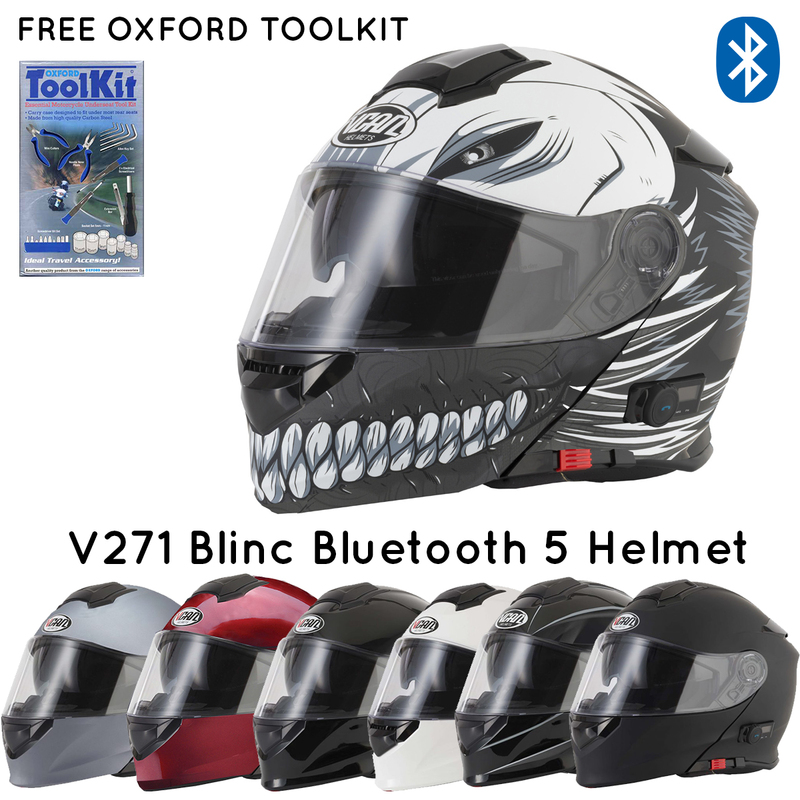 The ultimate in connectivity, the new Vcan Blinc (Bluetooth 5) is the very latest Bluetooth integrated helmet system allowing motorcyclists to easily communicate using wireless hands free communication.Connect your Blinc Bluetooth 5 equipped helmet to your mobile phone and handle incoming and outgoing calls, stream music or listen to the built in FM radio. 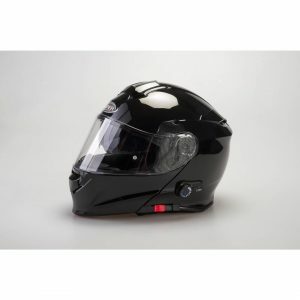 Connect to other Vcan Bluetooth helmets using the built-in intercom up to 800M or listen to GPS instructions from your motorcycle navigation unit. The system is completely integrated into the helmet and consists of a noise reducing microphone, dual stereo speakers, long life lithium re-chargeable battery and the new LED screen provides a visual display for ease of use and set-up.